How the mountains enrich friendships, deepen perspectives. The mountains are where the best friendships are made. Friendships that last a lifetime, built on joy and trust and unforgettable experiences. 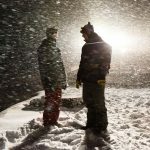 When we go snowboarding with our friends, we share so many things, good and bad—jokes in the lift line, secret stashes of powder, unforgettable views, frigid temperatures, harrowing avalanche conditions, and pure moments of stoke that only transpire while riding a snowboard in the mountains. This past spring I spent a week at Mike Wiegele Heliskiing in British Columbia, Canada, with my good friend and pro-snowboarder Seth Wescott. 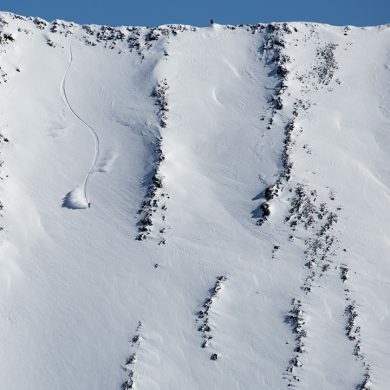 Wiegele’s is magical—a place of dreams for snowboarders like us. And it isn’t just the riding. They have some of the best food in Canada, spread out in a giant buffet of gourmet dishes, from fresh mussels and elk to sushi, pasta, and the list goes on. At the end of the day, we slept in little cabins with the most comfortable beds imaginable (so comfortable, in fact, that I’m buying the same one for my house). And of course, they have helicopters. 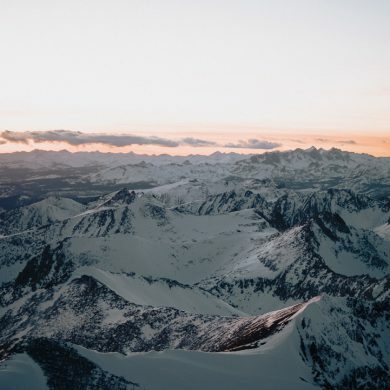 Helicopters that will whisk you to more than one million acres of unbelievable terrain—steep couloirs and expansive glaciers flanked with prehistoric blue ice. Such trips with good friends are indelible. And this particular one also happened to be a reunion of sorts. Eighteen years ago, Wescott and I went to Wiegele’s for our first heli-trip together. We had already been traveling around the world on the U.S. Snowboard Team competing in halfpipe and boardercross, but that trip was something different. It was freeriding; being in the big mountains, slashing powder. 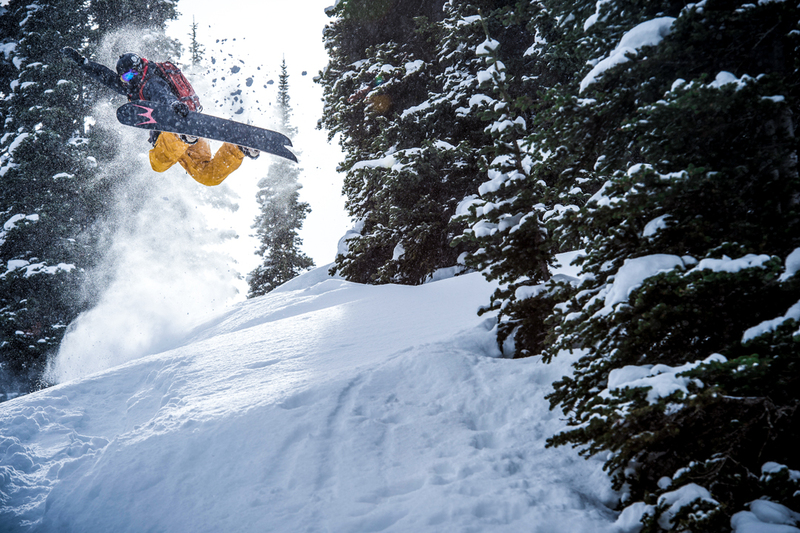 That trip was real snowboarding at its highest level, and the passion for it flowed through our veins. After that trip, our friendship grew stronger and it was the starting point for our annual “freeride camp” together that has taken us to some of the craziest places on the planet. 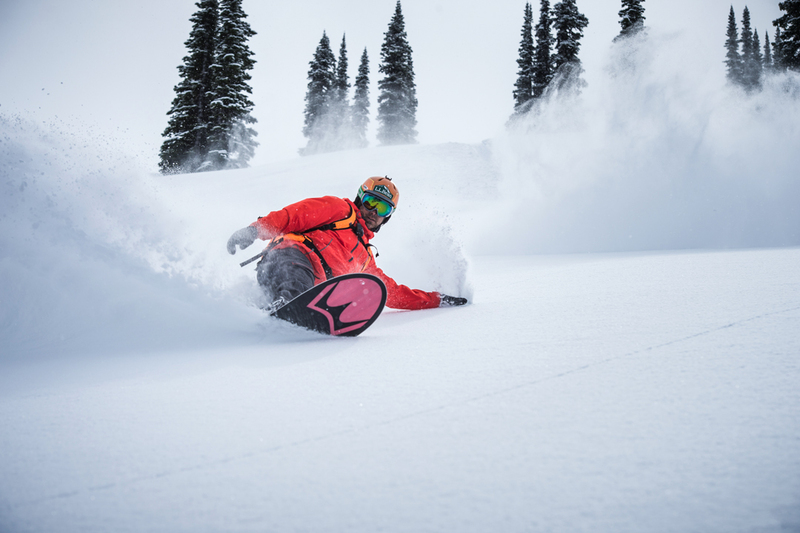 This time around, Wescott and I found ourselves high-fiving in a helicopter at Wiegele’s again, ready to chase lines and slay powder for LLBean and the Warren Miller cameras. It’s surreal in a way, to think about how many experiences and adventures we have shared on our snowboards, and how we had somehow come full circle, back to the place where it all started. 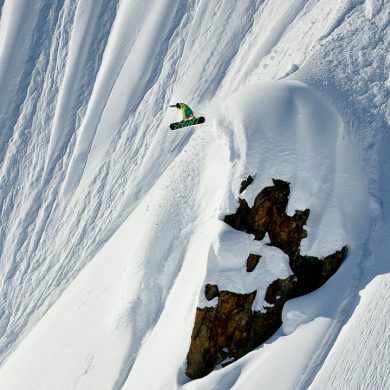 Deep in the mountains with pure feelings of freedom floating through powder snow. Those experiences propel us forward toward the next epic run, toward the next unseen vista. Our lives are truly enriched when we find kindred souls who share the same passion and are willing to chase it with us. Rob Kingwill is a Jackson OG.